Stand in a downpour without getting wet at "Rain Room"
In cities with wetter climates, storms are cautiously observed through windows. In droughty Los Angeles (although not that droughty anymooooore! ), they’re ogled in a museum. 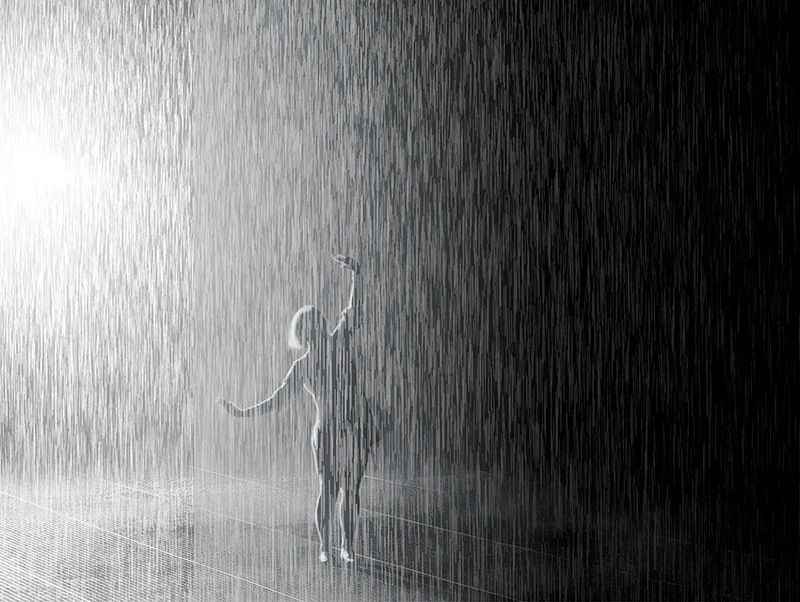 Rain Room, an exhibition that simulates a rainstorm indoors a la Rainforest Cafe (only better), debuted at LACMA on November 1, 2015. Hordes lined up to walk through the immersive high-tech installation, which allowed up to seven people at a time to stand under a 1,000-square-foot deluge without getting wet. The sorcery is the work of British studio rAndom International, who use motion sensors and 3-D tracking cameras to stop the flow of water whenever a human body is detected. Previous articleWhere to Follow Real News and Get Actual Facts if You Live in L.A.